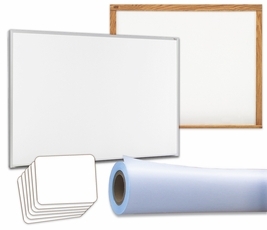 Looking for a whiteboard that won't break the bank? 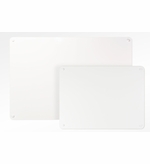 Non-magnetic whiteboards are suitable for anything that calls for occasional use or more. 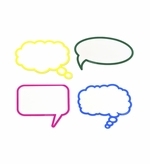 Non-magnetic means that your whiteboard will not be magnetic receptive. You won't be able to use any type of magnet or magnetic accessories. 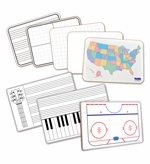 We offer excellent non-magnetic writing surfaces that work great. 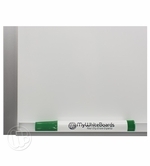 Why pay for the added expense for a porcelain steel magnetic whiteboard? If you have no intention of ever using magnets then non-magnetic is the way to go. Most Popular? 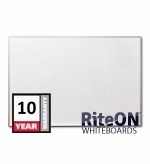 The Rite-On™ Non-magnetic Whiteboard is our most popular non-magnetic whiteboard writing surface. You won't find a better writing surface. 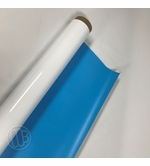 Do you need a large non-magnetic dry erase surface? 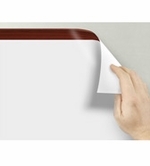 Use our Opti-Rite® dry erase wall coverings. 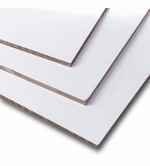 We sell more Opti-Rite® material than any other product on our web site. 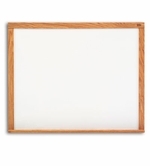 Thin contemporary unframed non-magnetic whiteboard. Non-Magnetic - No Magnetic Accessories. 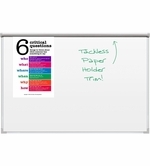 Peel-n-Stick Dry Erase. Easy to install. Perfect for Dorm Rooms and Offices. Dry Erase Decals with simulated wood frames.